the xray doctor: Join me for this brand new Radiopaedia course! Join me for this brand new Radiopaedia course! 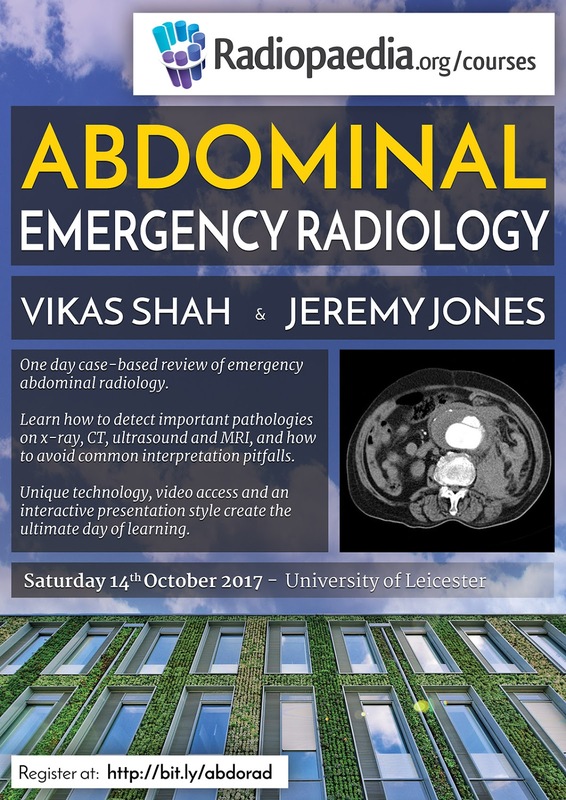 Join Dr Jeremy Jones and me for our brand new Radiopaedia course “abdominal emergency radiology” this October at Leicester Medical School - early bird discounts now on! If you can't make it to Leicester, you can still sign up to watch the videos after the course is over. Head on over to http://bit.ly/abdorad to register and for more details.